If you’re online and on Facebook, you’ve seen the posts from your friends and neighbors about the severity of the tick problem this year. In most years, you don’t hear about ticks until June, but this year looks like ticks are an issue we’ll all have to deal with. So, what can you do to keep your family safe from ticks, and the diseases they carry? First, know your friends! If you see opossums in your yard, don’t chase them off, welcome them! Opossums are nature’s tick vacuums, eating thousands of ticks, and helping to keep your yard safer. Likewise, owls, snakes, and frogs and foxes can also help, as they eat the small mammals that bring the ticks in. •Getting rid of leaf litter, and ensuring that your grass is clipped short around your home. •Utilize wood chips or gravel between your lawn and open or wooded area to restrict the migration of ticks between these zones. •Maintain the area around bird feeders. Loose seed attracts rats and mice which are major carriers for ticks. •Keep children’s play equipment, decks, and patios away from yard edges and trees, ticks can even drop down from branches! You can also call a reputable landscape company to ensure that your landscape design is as friendly to people (and unfriendly to ticks!) as possible and to apply a tick-repellant spray to your yard. 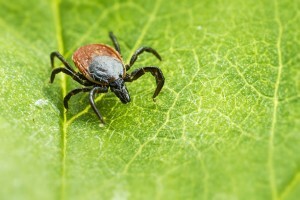 The latest generation of tick-repellants is safe, effective, and environmentally friendly. For families with children and outdoor pets, a regular schedule of tick spraying can be a literal lifesaver. 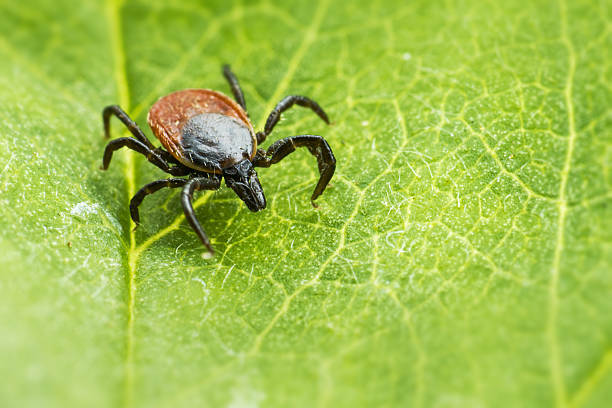 If you’re interested in looking into tick-free landscaping options or setting up a tick spraying schedule for your property, call or visit Aronica Plant Healthcare today!